It has been a while since we last saw a Motorized Paraglider in these parts but yesterday morning we were treated to a rare sight. This guy cruised past lower Hirafu Village from the Kutchan side and just kept going. 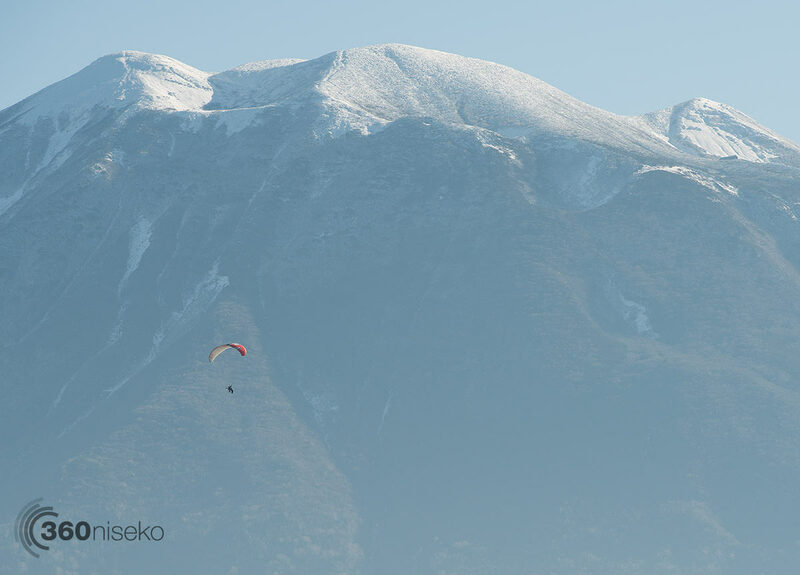 Don’t know where he landed but it was a cool sight from 360niseko HQ with the Mt.Yotei backdrop. No new snow to report snow lovers but the white stuff could be back sooner than we could have ever dared to dream….stay tuned.